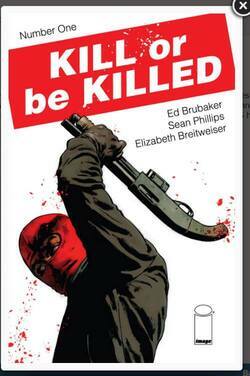 Kill or Be Killed #1, the new Ed Brubaker and Sean Phillips book that was released on 8/3/16, has sold out and going back to a Second Print . The new printing will have a new cover too. Check out the new, violent cover. The Second Print comes out 9/7/16. Been burned on so many Brubaker comics…good reads, horrible investments. I understand. It is kind of rare for an Image book to go back to a second print any more. I’m not so sure.. Snot Girl went back for a 2nd print and it kind of sucked, although I can see how it can carry a certain audience but for me, just not my cuppa tea. 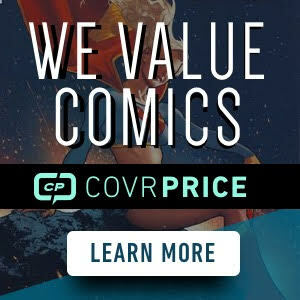 She-Wolf went back for 2nd print and it was just horrible. I buy Brubaker for the story.. I don’t care if it ends up valuable or not, his master crime story telling is just awesome. Probably the best “narrator” out there as well.. he makes me become the person I’m reading with his heavy narrative pages. When a writer can do that, that means they’re good..
Love Brubaker and Phillips. I don’t care what those books are worth in the future. They’re work every penny of the $3.99. 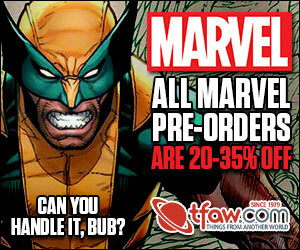 Brubaker and Phillips are the one creative team that I don’t care what they’re soliciting. If they’re putting it out i’ll add it to my pull. Yes, they rarely disappoint for sure. I’m a pretty dedicated and thorough comic reader, and KobK was far and away the best single issue I’ve read from the past few weeks. The storytelling was just so….fluid! I liked KoBK #1, just like all the Criminal series were good. Couldn’t get into Fatale though. Yeah, I thought it was the philosophy of Image for a while to not do 2nd prints. The dollar always wins though. This one not to invest in. Pass on this one my people. Image is always putting out books. 8 out of 10 will not be any good.